With the marvelous increase in the technological advances in the modern age mobile, cellars, super-fast magnetic track trains, supersonic jets, then why not flying cars? 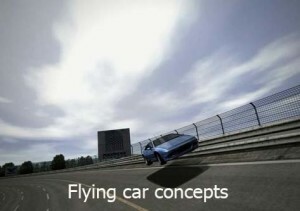 Flying cars have been a long-promised dream that has taken many many years and still needs to get fulfilled. But many sources at the Silicon Valley now inform that they may not be very far away. Actually this is a leakout story of a to secret project. Zee. aero situated in the Silicon Valley in the Googleplex with headquarters in the Mountainview, is already putting its prototypes on testing. The Zee.aero has leased out a building at Hollister Municipal Airport which is popular within the amateur pilots and employees of the airport. Zee.aero receives its major funding from its owner Google Co-founder Larry Page. Page actually wants to keep the project secret and has acquired the code name ‘Gus’ for the purpose. Besides Zee.aero, Page is also funding Kitty Hawk, another small company working on to build a flying car. Both Zee.aero and Kitty Hawk have a relationship of bitter competition. That may be actually a part of owner’s strategy. Joby Aviation also aims to come up with a completely electric prototype by this year. The prototype would be able to seat nearly 4 members and fly over a distance of 100 miles. Mark Moore, an engineer from the NASA said “Over the past five years, there have been these tremendous advances in the underlying technology. What appears in the next 5 to 10 years will be incredible.” The engineer even pointed out that the flying cars technological infrastructure is simpler than the autonomous car projects being undertaken by Google. Some of the major challenges in the flying car technology is the VTOL capability, the powering-system for the vehicle and also many safety issues. It seems the technologists have really been able to find viable solutions to these problems and the name ‘flying cars’ would actually be replaced by something more technical. And very soon the flying cars will be taking to the skies.